Koyelaanchal unveils itself through Saryu Bhan Singh (Vinod Khanna), an ex-owner turned Mafioso of the region, who through his sheer brutality & blatant defiance of law of the land, forces the people & the authorities to acknowledge him as their ‘maalik’. Any protest, any voice of dissent against him is dealt with spine chilling violence of epic proportions. Things get a bit difficult to handle for Saryu Bhan Singh when an upright District Collector Nisheeth Kumar (Sunil Shetty) takes charge of the region and starts asking him questions that no one dared ask him before. Caught amidst labor revolts & naxal uprisings, the last thing Saryu Bhan Singh wanted was to make enemies with the top government officer of his region. He sends his most lethal human weapon, Karua (Vipinno) to scare Nisheeth Kumar off to silence. But the mission don’t-kill-just-scare-him goes horribly wrong when Karua ends up fatally injuring Nisheeth’s wife and in the process of escape, ends up carrying Nisheeth's infant also, thus abducting the child. What happens hereafter tells a thrilling & heart-rending story of how the real power doesn’t always flow through the barrels of guns but through the tender touches of a child, love of a mother & heartfelt prayers of the hapless millions. Kareena Kapoor Khan and Malaika Arora to enjoy the summer nights in style! 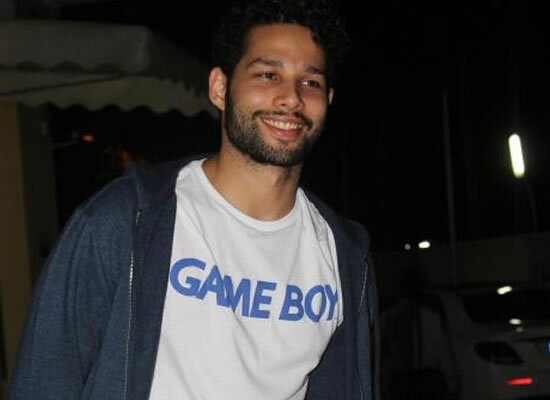 Siddhant Chaturvedi talks about his auditions and fame!